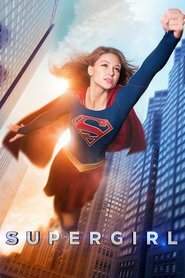 Living... in National City, home to the world’s newest superhero, Supergirl a.ka. Kara Danvers. Profession... head of the Department of Extranormal Operations (DEO). The covert government agency was designed to deal with potential alien threats. Operating off the books, the DEO’s main mission is to capture the aliens that have escaped from a crashed interstellar prison called Fort Rozz. Interests... work, work, and work. Hank’s dedication to his job leaves him little time for hobbies. Relationship Status... alone. Hank is fairly tight-lipped about his personal life, but he once let slip that he lost his family, leaving him alone in the world. While Hank doesn’t have much interest in dating, he does enjoy mentoring his DEO protégée Alex Danvers, whom he thinks of as a surrogate daughter. Challenge... protecting humanity. Defending Earth is Hank’s job, but he always goes above and beyond the call of duty. Deeply distrustful of aliens, Hank is even suspicious of Supergirl initially. As he explains it, “Nothing says covert operation like a flying woman in a red skirt.” Slowly, however, he begins to see that working with National City’s resident superhero is better than working against her. Personality... serious, hawkish, and commanding. There’s no question that the military is the right place for Hank. He has an innate sense of authority and a knack for staying calm under pressure. Yet there might be more to Hank than meets the eye. He seems to have powers and abilities well beyond that of a normal human – not to mention the way his eyes flash red when no one is looking. Hank Henshaw's popularity ranking on CharacTour is #1093 out of 5,000+ characters. See our top-ranked characters and read their profiles.